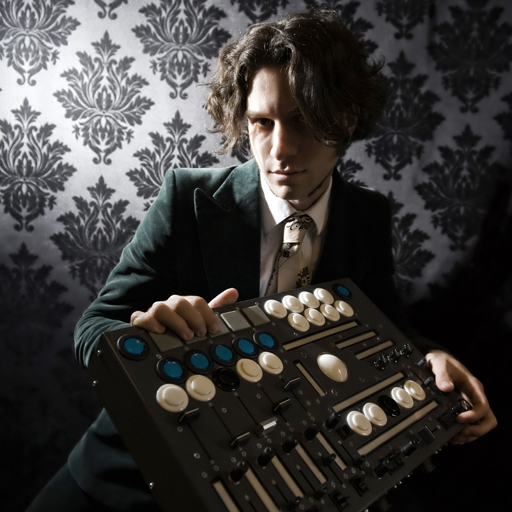 Hailed by more than million YouTube viewers as "The Godfather of Controllerism", Moldover is a new breed of musical icon that combines rockstar charisma with the mad genius of a basement inventor. Moldover's success as a producer and performer is built upon his founding and developing the precepts of controllerism. His mastery of electronic performance ergonomics combined with his sublime songwriting and musical sensibility creates a visceral and visual electronic music experience uniquely his own. Now fuse that with Ableton Live’s ultimately programmable software and it’s perfectly clear: MOLDOVER just plain rocks. The musical instruments he creates (and markets) are legendary. His multi-player music jamming station "The Octamasher" tours to music festivals, college campuses and private parties, putting controllerism into the hands of everyone. His commercially available performance controller, "The Mojo" combines elements of traditional instruments, DJ hardware and video game controllers, offering unparalleled ergonomic tactility to other serious controllerists. Next on the horizon is a new multiplayer instrument\ called "The SyncoMasher" and a Do-It-Yourself version of Moldover's hacked up performance monster: "The Frankentroller". He tours and performs his original compositions widely across the US and Europe. He also produces and promotes his own albums. 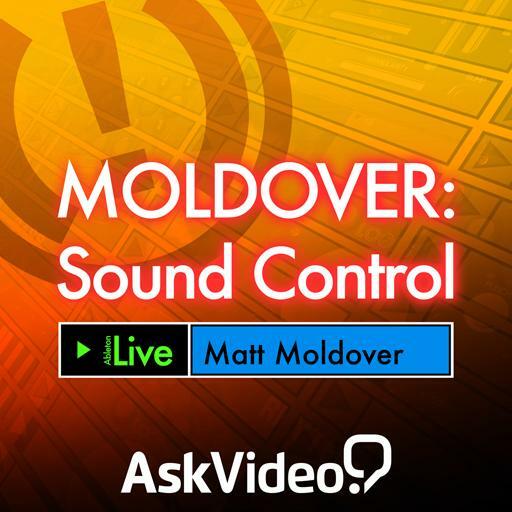 MOLDOVER is dedicated to education and leads Sound Control seminars around the world. He’s truly an emissary, scratch that... ahh, the king of the DIY craze that is threatening the very notion of what a MIDI controller is and could be. We are thrilled and honored to have (Matt) MOLDOVER as a member of our talented faculty of dedicated authors and trainers! In this course – produced at Tekserve in NYC – MOLDOVER takes you deep inside his arsenal of DIY MIDI controllers – and his totally genius Ableton Live 9 performance setup – to show you his unique vision of the present and future of technology and music! Besides teaching a lot about controllerism, this course is just fun. Moldover demonstrates a mastery of the subject matter, but he doesn't beat us over the head with it. It's more like an invitation: let's be badass together. Excellent course! 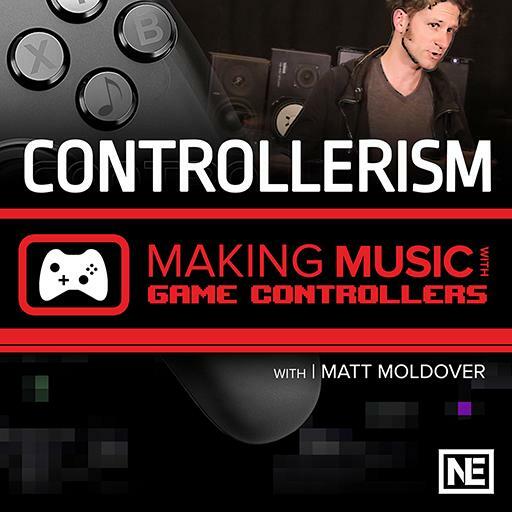 Moldover really knows his stuff and this is one of the best "be a creative live artist" tutorials I've watched using controllers and Ableton. Most inspiring to those who build their own controllers too. Wacky and wonderful. A really interesting way to look at and tackle Ableton Live. OMG, Matt Moldover is a Genius...hes experimental ideas are awesome i like this course a lot. Thank You MPV! Pretty good overview of how to put together a set and use controllers. You can tell Matt is extremely experienced and talented. Suggestions for improvement would be to see more descriptions of the operation of the program as he used it. He would do edits and move things around etc. but didn't always show what keys he pressed or how he did his moves. It's always good to find out people's little quick moves when they work. Overall a good tutorial and it's nice to see ableton and controllers in action. Moldover's original Controlllerism vid got me performing live when I had no idea how I was gonna do that, and this 2014 Sound Control tute is an extended update on his ideas and techniques. There are lots of good suggestions here for ways you can manage and produce your ideas in Live 9 in tandem with hardware controllers. The most technical detail is probably given on the setup behind the Robocaster (midi + fx guitar). If you're a total newbie to controllerism, you may come away wanting a bit more nitty gritty on how to set up some of the cool FX seen here. But anyone should come away inspired, with a lot of new ideas and with their creative batteries recharged. Great Stuff, It's definitely better suited for guitar players It's Just not something i could see myself using . A fresh approach to performing with Live and a charming character - some of Moldover's customizations certainly look amazing. Only beef: a bit light on directly adaptable techniques for other genres.. Awesome work! Very informative. Easily understood. I am inspired. Thanks! amazing insights into a live/controller set up definately learnt alot from this, the actual music left quite a bit to be desired but the concept is really well thought out!!! !